Hobbits & Hairdye: Instagram Diary | June. Fathers Day | The Nicest Drink Ever | Best Friend's Leaving Do | Miss these girls | My Brothers Year 11 Prom | Heaven in Chocolate form | Finally got my hands on an Iphone | Me & Brosef at his Prom | Topping up his Tan. 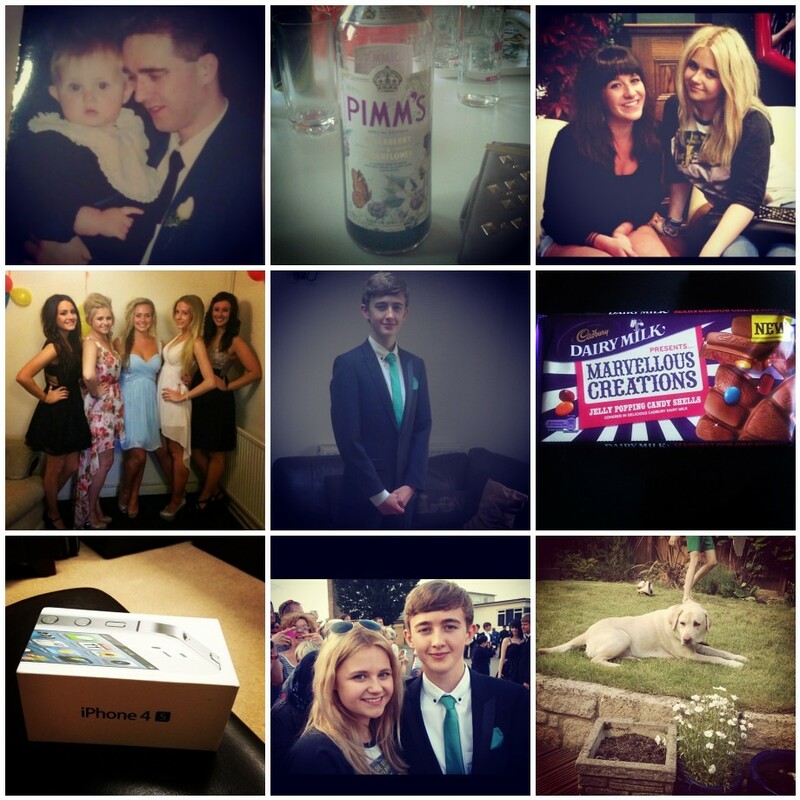 So here is my month in pictures! Whats been the highlight of your June? Do you have any fun plans for July? I love your blog, definitely following now! Your baby looks cute and charming..I love the whole pictures which you have posted..